Start here, with Tarnynon Onumonu’s ode to Chicago’s Free Range youth, the ones who might not be welcome in the Loop. 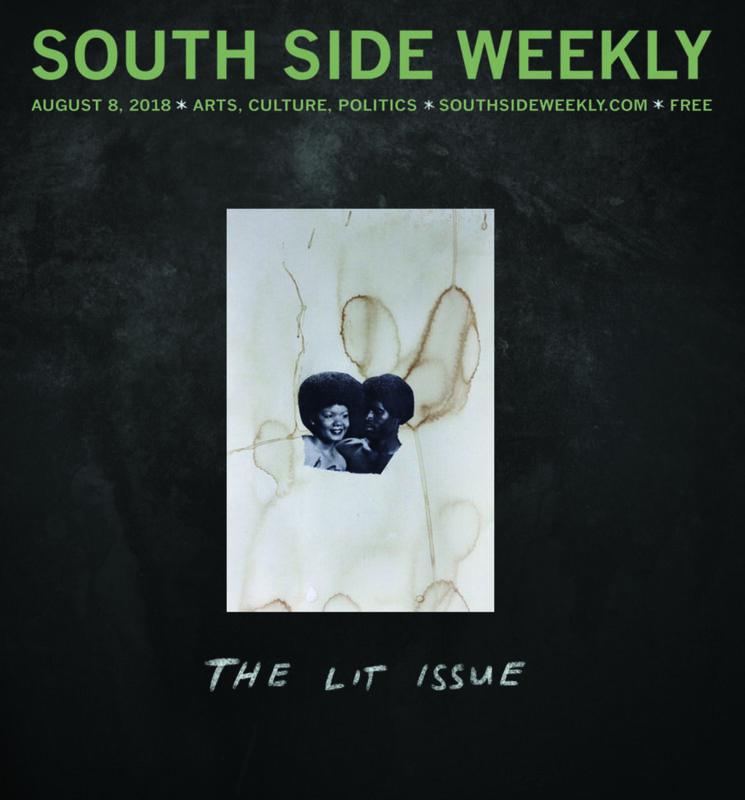 The contributors to this, our biggest Lit Issue yet, challenge us to find and tell new stories. They invite us to find poetry in the everyday, in the school crossing guard, in the names we call each other—“mamita, chulita, pinche cabronita”— and in the sticky burn of a paleta picante. This is our work: to tell stories that challenge, uphold, celebrate, interrogate, and preserve. What else can we do? The words of Davis echo from nearly a century ago: “Although we seem trapped in an age of anger and despair, the alternatives remain the same as in all other ages.” We can accept the old stories we are given, or we can write the city new. This is an award-worthy pastiche, a multi-genre treasure trove of voices & faces often ignored. Key ppl in Chicago’s tale of 2 cities here—to stay—in Living Color. Ashé, brava, kudos, big ups!